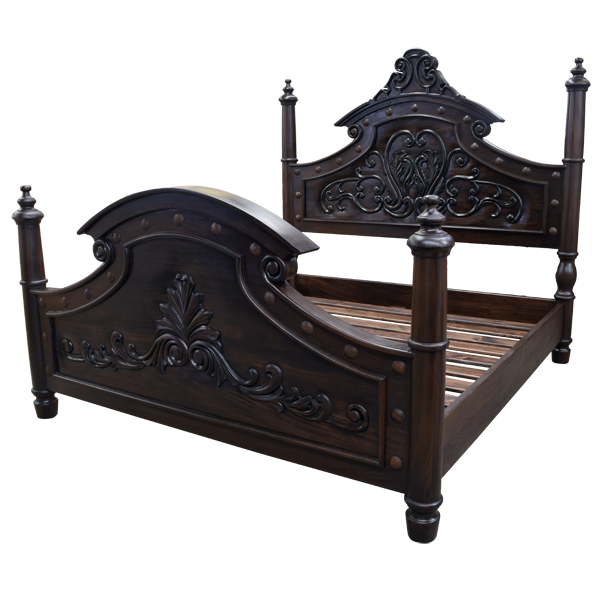 The exquisite, hand carved, ornamental designs on this handcrafted, Italian Renaissance style bed were created by our extremely talented artisans. The front of the headboard has an arched, center molding, and the molding is crowned with a marvelous, hand carved crest adorned with lovely, scroll designs. Hand forged, iron nails are intermittently hand tacked directly below the top molding. 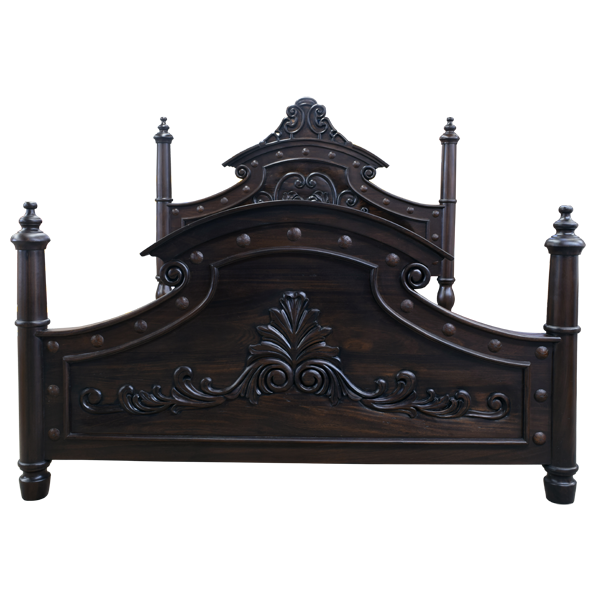 The face of the headboard is enhanced with magnificent, hand carved, floral and scroll details, and on each side of the headboard are ornate, hand turned uprights. The top of each upright is garnished with hand carved, spherical designs. Centered in the top of the footboard is an arched molding, and intermittently hand tacked directly below the molding are hand forged, iron nails. The face of the footboard is graced with marvelous, hand carved, floral and scroll designs. 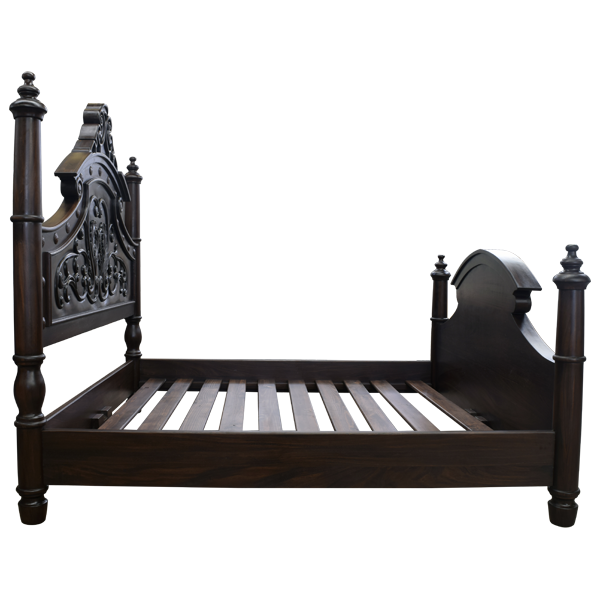 The footboard is framed on each side by solid wood uprights, and the top of each upright has hand carved, spherical designs. The bed rest on hand turned legs, and it is supported by a solid wood, structural base. It has a beautiful, dark finish, and it is made with the best, sustainable, solid wood available. The bed is 100% customizable.